In particular, thanks to the camera’s increased light sensitivity, the DELUX technology can obtain bright images with well-defi ned colours in very low light conditions – even typical night-time conditions to 0.006 lux (0.0006 lux in black and white). ULISSE COMPACT’s robust mechanical construction guarantees unbeatable performance in all weather conditions, – from -40°C to + 60°C – with a rotation speed of up to 200°/s, highly accurate preset positioning, anti-fog capability, a wiper and an integrated LED illuminator. The video images are sent via the network with compression H.264/AVC, MPEG4, MJPEG or JPEG and up to a maximum of 3 simultaneous and independent Full HD video streams. 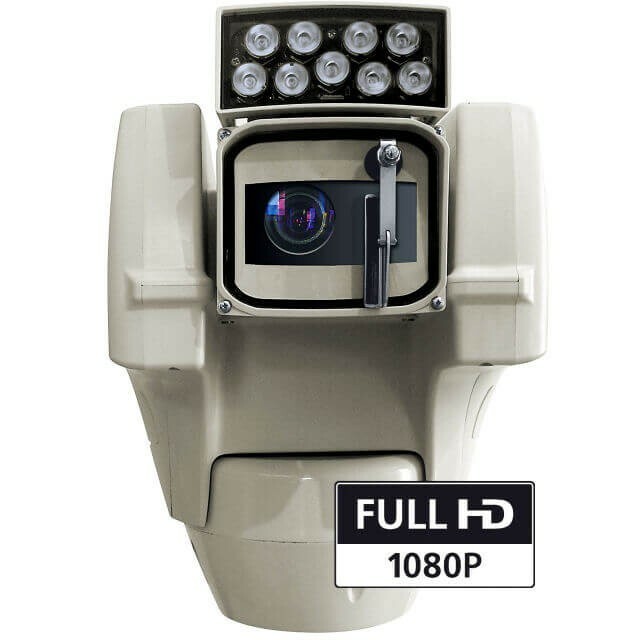 ULISSE COMPACT DELUX is the ideal solution for the surveillance of urban and industrial areas, critical infrastructures, traffi c and car parks, and perimeters and borders.